S.H.I.E.L.D. may be back, but there's a new director in town. 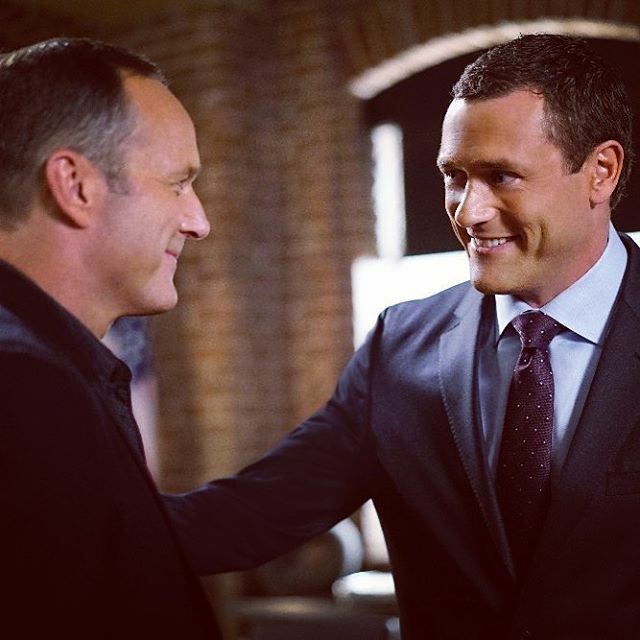 This past Tuesday, we finally got to meet the new face of S.H.I.E.L.D. Also, Robbie Reyes returns with a fiery appearance, May isn't quite herself, and there are still ghosts involved. Let's get started. ★ A highlight of the show for me is still Robbie Reyes. Gabriel Luna delivers a really sharp character, and I love the direction they're taking him. ★ Robbie and Daisy's dynamic is on fire. I love the way their banter was written and shot back and forth by the two actors. Overall, it's splendid. ★ Also, Daisy's subtle way of threatening him was on point. She's turned into even more of a badass. I love her so much more this season. At first I was worried about her going rogue, but it was a good choice. The character development feels natural and perfect. ★ Getting to see Mack, Fitz, and Daisy reunited... however briefly. ★ Coulson, Jemma, and the constant push and pull between the old team and the new way things are. The tension is really thick, and I'm a fan of it. ★ The new director is... interesting. I love the fact that he's also an Inhuman. Also, it appears he may be the comic book character the Patriot, which means he might be related in some way to Captain America?! Please let it be so. ★ Even though the ghost plot line wasn't as scary as it maybe should have been, it was still really interesting. I'm incredibly intrigued to see what happens with this, and I like that it's being woven into Robbie's story as well. ★ I wish I had gotten to see more of AIDA since that's one of my favorite parts of the season so far, but I understand that sometimes certain plot lines have to be put on the back burner. Even though my favorite episode of season 4 is still the first one, its follow-up did not disappoint. AOS is still on fire. I can't wait to see what happens, though I'm bummed we have to wait two weeks. What did you think of "Meet the New Boss"?